Blackhawk - Honor as a Way of Life. BLACKHAWK! is a leading US manufacturer of tactical, military, shooting sports and law enforcement equipment headquartered in Norfolk, Virginia. Blackhawk was founded by a Navy SEAL and now manufactures tactical gear, body armor, law enforcement duty gear, holsters, hydration systems, protective gloves and gear, apparel and footwear, knives, illumination tools, breaching tools and recoil reducing stocks. Blackhawk is part of ATK Sporting, with US manufacturing facilities in North Carolina, Montana and Idaho. More information can be found at www.BLACKHAWK.com or by calling 800-694-5263. BLACKHAWK! is the official tactical gear outfitter and manufacturer of the Graffiti of War Project. We are working with Blackhawk to bring the Graffiti of War Project Exhibit to Atlanta for Veterans Day 2012 with more details to follow in the upcoming months. BLACKHAWK! is currently the official tactical gear outfitter and manufacturer for Maximum Warrior 2012 and continues to work and strive to support our Nation's Military, Law Enforcement and First Responders both on the field and off through their innovation and generosity. We encourage all of our fans and supporters to visit www.Blackhawk.com and to support this true American Company. 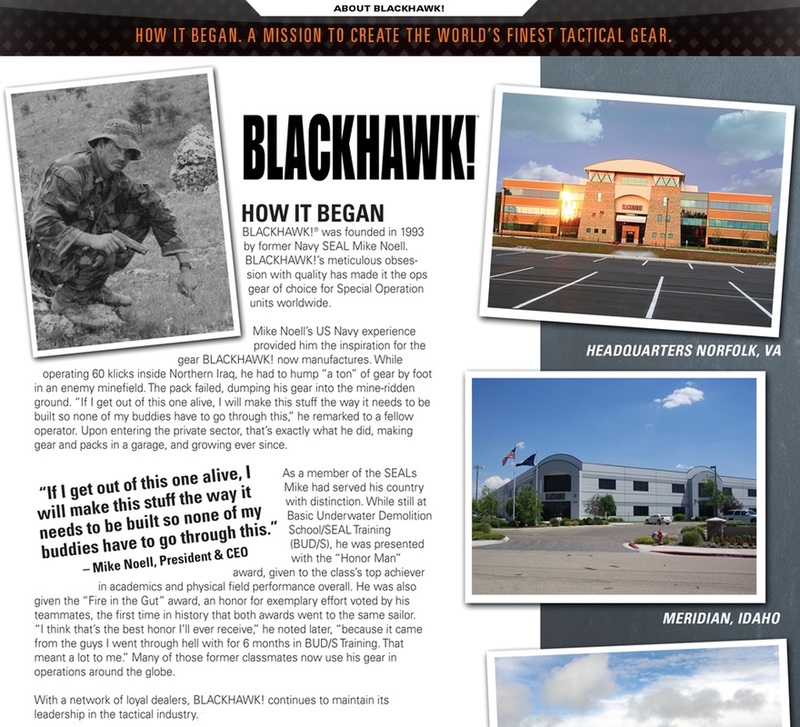 Images and text used with permission and copyright of Blackhawk! - Unauthorized use prohibited.